Julian Sayarer is a journalist and author. In 2009 he set a world record for circumnavigating the globe by bicycle. His book Interstate, an account of a hitchhiked journey from New York to San Francisco, won the Stanford Dolman Travel Book of the Year in 2016. I left London and rode into Somerset by bicycle, at the sort of speeds where you notice the passing world. A sign on a gatepost read: ‘No Trespassing: Violators will be shot, survivors will be shot again.’ A hand-painted sign asking a ‘Fair Price 4 Farmers’ stood over the Taunton Road. Only recently, of course, the farming community were being painted as victims, as supermarkets drove milk prices below the cost of production. How telling, that memories of farming hardship should have receded into another month’s headlines. Slumped against the asphalt, black-white fur torn by tyres, dark innards on show, I saw badgers from the unofficial slaughter, two of the thousands that die each year beneath cars. Here was Britain’s top predator. The badger cull had already split public opinion over the summer. In September, the British Government announced plans to control bovine tuberculosis (bTB) by killing badgers in Gloucestershire and Somerset in the south-west of England. In rare circumstances tuberculosis can pass from cows to humans, usually through consumption of infected milk, and rising badger numbers were believed to be spreading the disease among cattle. Animal rights groups defended badgers as gentle victims, a British version of the panda, ‘charismatic megafauna’ as one campaigner put it to me. Who could wish harm on that stern, noble father-figure, beloved from The Wind in the Willows? More than 160,000 people signed an online petition supporting the animals, and last month the Government — already struggling with popularity — postponed the cull until 2013. Meanwhile, one farmer spoke to me of badgers killing his chickens at a rate of 100 every three months. The chances of reconciliation seem remote. The Department for Environment, Food and Rural Affairs recently approved a study concluding that a 70 per cent cull of badgers would reduce TB in cows by 16 per cent. The National Farmers Union insisted that this estimated reduction was low and was eager for any action to stop the slaughter of 26,000 cows a year, carried out in the name of controlling bovine TB. I heard stories about farmers paid £1,070 in compensation for cows worth twice that. Animal rights groups, meanwhile, claimed that the 16 per cent figure was optimistic. They highlighted studies showing that culls cause infected badgers to flee an area, spreading bTB across more of the country. The clocks had just wound back for winter when I set out for the West Country. At three o’clock, hungry and preparing for dusk, I stopped at a farm shop with a sign promising cake and other food. I crunched through the pebbled courtyard of Home Tree Farm, children’s bicycles leaning against a fence, a line of wellington boots on a muddy doormat. A man was in the kitchen, looking out of the window. He got up as he saw me arrive. A young boy stood at hip height just behind him. I asked about the shop. ‘We stopped doing that,’ Ben Atwell said in a Somerset drawl. ‘People don’t buy from me any more. We closed early this year. Probably won’t open again.’ I had just ridden through the town of Street, and mentioned to Atwell that I had passed the gleaming orange letters of a Sainsbury’s on my way out. He gave a short, philosophical smile. ‘It doesn’t help does it?’ he asked. All the big British supermarkets had released statements about the cull, each one an insight into the personalities of these enormous businesses. Tesco pledged to stand in solidarity with farmers at this difficult time. The Co-op and Marks & Spencer went for more measured positions on animal rights, reassuring customers that none of their dedicated suppliers were in the culling area. There was a strange sense that the retailers had become the gatekeepers of morality in our food supply: that we could look to their positions above the local knowledge of those who produced it. We saw food as coming from supermarkets rather than farmers. To borrow an idea from the American writer Michael Pollan, the production of food had become invisible. Yet he viewed the cull with obvious distaste. Like Atwell, Nancarrow described the anomaly by which the granting of total protection to badgers had created the very problem that the cull was meant to address. More than anything, he refused to separate the spread of bTB from industrial agriculture. He talked about the link between malnutrition and TB in badgers, speculating that monocultures and pesticides might have depleted the soil quality, taking with it the badger’s natural diet of grubs and worms. Why, he wondered, had nobody raised the link between the spread of bTB and the rise of intensive farming, where large numbers of cattle are kept close together? But of course, with supermarkets driving food prices down, farmers had little choice but to rear as much livestock as they could. We walked together to visit a neighbour, Phil Broom, whose farm had been shut down with tuberculosis. To put him at ease, Nancarrow thought it best to give us a formal introduction. I realised that introductions had been key in meeting half the farmers I’ve ever spoken to. Unlike London, where everyone strives to be heard and recognition is an end in itself, people in the countryside seem guarded about drawing attention to themselves. Almost proverbial for their reclusiveness, it’s not surprising that farmers have struggled to manage their public relations. Broom stood in a small farmyard where cattle were feeding at the trough. A collection of yellow buckets held a mixture of minerals and molasses for sheep. Feed such as this also attracts badgers, who transmit TB by leaving saliva on the buckets. Broom went into a barn and produced a block with a hole in it, the same compound of molasses as was in the buckets. The hole was to hang the block where cows could reach but badgers couldn’t. He gave a shrug. ‘We go to all this trouble and then people end up eating the meat anyway,’ he said. Apart from in very extreme cases when the cow carcass is destroyed, infected organs are simply chopped out and the meat can be consumed by humans. The slaughterhouse buys the meat at a reduced price from the authorities, then sells it into the market. ‘I think people would feel different about TB if they knew about that,’ said Broom. Next to us in the yard was a large metal cage with a locking mechanism for holding cows by the neck. This ‘cattle crush’ grips the cow while a vet shaves an area of skin and takes samples to test for bTB. ‘They don’t like it very much,’ said Broom, ‘I’ll need a new crush soon. The cows can shake the machine loose if they get distressed in there.’ It’s no fun for the cattle, but vets can make a steady income from TB testing. Broom had worked with Spanish and Romanian vets who came to England because of the abundance of work. It was an infected bull that caused him to be shut down. ‘I’d only had him a few months, but the vet said he had lesions spread a long way beyond his lungs, which is where TB starts,’ he said. ‘That means the bull probably tested negative when it shouldn’t have.’ Several farmers told me about the unreliability of the tests, offering stories about the autopsies of healthy cows, slaughtered because they were exposed to the disease without contracting it. ‘The badgers have a role to play in the countryside,’ said Broom, ‘but there are more badgers than ever before, and when numbers grow, disease sets in.’ He supported the cull with reservations. No other solutions were being discussed. ‘No politician wants to come around talking to farmers,’ he said. Before going back to London, I phoned a producer at a farm in Dorset. She asked to remain nameless, fearing pressure from animal rights activists on one side and supermarkets on the other. She helps to manage several herds of dairy cows, selling cheddar to each of the big four British supermarkets. I wanted to talk to her because I heard she had Nancarrow’s ability to bridge urban mentalities and rural lives. Apparently, she spent her evenings studying for a master’s degree in marketing. The producer explained how she had been forced to accept constant promotions on her cheeses to compete. The checks and balances of local economies are now a thing of the past, and food producers are often forced to meet set profit margins in order to keep their supermarket contracts. On the shelves of one supermarket alone that year, she reckoned that these obligatory consumer discounts had cost her farm £100,000. Heading home to London, I cycled through country lanes towards the railway station. Hedgerows loomed over me and I was sorry not to get a clear view of the Blackdown Hills. Yet up on the hills, looking down at the patchwork landscape of browns and yellows and greens, I was grateful that the hedgerows hid the asphalt of the roads. In the trade-off between infrastructure and scenery, perhaps we see some of the same conflict that is at play in the badger cull. We want a countryside that is at once accessible and remote, untouched and yet moderated to suit our sensibilities. I rode through villages of thatched roofs and stone churches, farmhouses with tables of eggs and honesty boxes. Ivy tumbled from the sign hanging above a pub. The countryside can look so perfect that you forget the economies and ecosystems of these communities. Nevertheless, they demand unpleasant realities, just like our cities. In half an hour of cycling through Devon, I saw greater animal diversity than you’d find anywhere in London outside a city farm or zoo. There were hens, dogs and geese even before you began to count the industrial livestock. 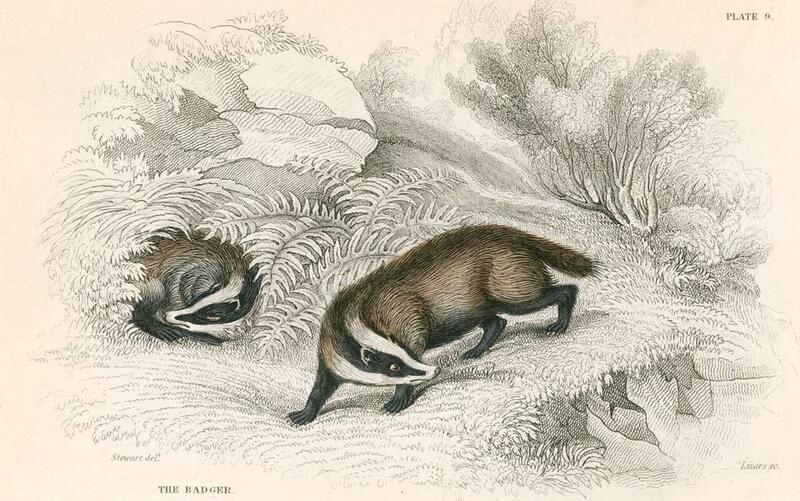 It’s sad that farmers, for whom animals are a way of life, have been cast in the badger controversy as a group without concern for animal welfare. Sometimes, though, it seems as if two viewpoints can clash most violently when the real problem is actually a third, quite separate issue. Modern economies are volatile and mysterious creations, no doubt. They work in ways that can seem to defy common sense, but it is hard to accept that there should be so little financial incentive to produce food. Farmers and activists are likely to stay at each others’ throats for as long as that remains the case. From the perspective of economic justice and sustainable development, however, the two groups might have more in common than it first appears.